Ran and owned by Marc Crowther, UK-based fightwear brand Sweep or Submit very kindly sent me one of their prototype rash guards to test out and review. 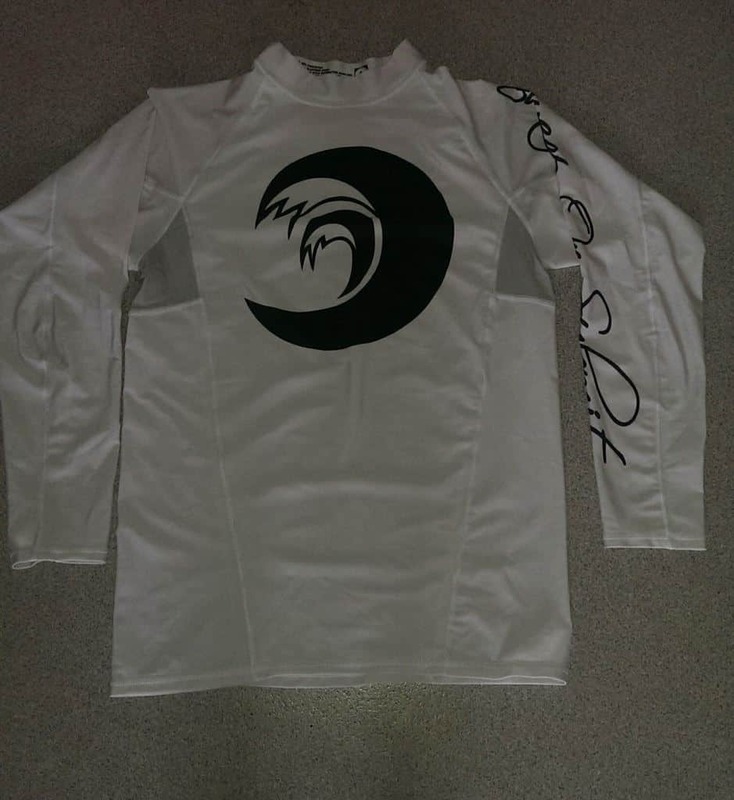 Check out my opinions of the rash guard below! “‘Sweep or Submit’ was born in 2013 to provide environmentally friendly and organic clothing to the ever growing Brazilian Jiu Jitsu community. We only ever use high quality materials for the absolute best finish, manufactured in factories who look after their employees and pay them fair wages. Where possible, garments are printed using environmentally friendly ink and shipped to the UK using ethical suppliers. When I first opened up the parcel, the first thing I noticed was the striking logo on the front of the rash guard that was sublimated dyed onto the rash guard so it won’t peel or crack after lots of rolling. I also noticed the side printing of the brand name on the left arm, which was a really nice addition. This prototype was plain white, but when Sweep or Submit get around to making ranked rashguards then I really think this design will stand out among the crowd for it’s clean and simple design. Wearing the rash guard was great, the material felt really nice against the skin and fitted perfectly on the arms and torso straight out from the bag (I wore a large, which is what I wear for rash guards). 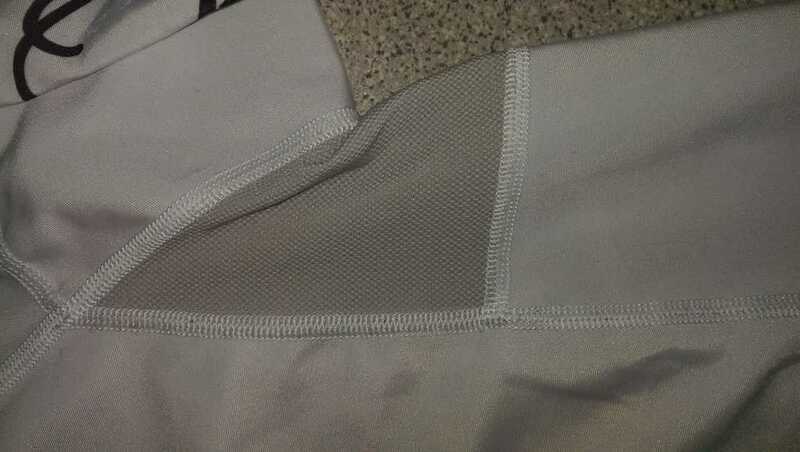 A notable addition to this rash guard were the mesh armpits, which helped keep everything cool, especially when you’re training in a heavy gi, a great and unique addition. I mainly wore this rash guard under my gi and wore it a few times for some no gi. The rash guard performed admirably! The sleeves stayed put during hard rolls and the torso didn’t ride up, there was some bobbling and wear on the back of the rash guard, but that’s quite common for a lot of rash guards worn under gis. Sweep or Submit should be proud that they’ve produced such a great product, even though it’s in it’s early phases. I’m very much forward to seeing what they’re going to produce in the future. The white rash guard a bit plain but when there are ranked versions, this won’t be a problem. Check out Sweep or Submit for their latest products and also, make sure to buy one of their ranked moustache patches!